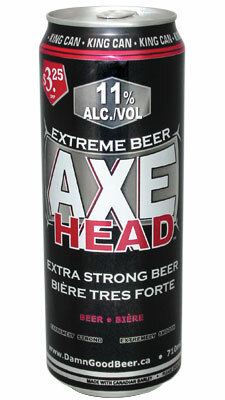 The granddaddy of them all Axehead is a true malt liquor that packs a punch. The malty aroma and flavor is moderately hopped to give it superb balance for a malt liquor. But don’t let the smooth taste fool you …it really is 11% alcohol by volume.